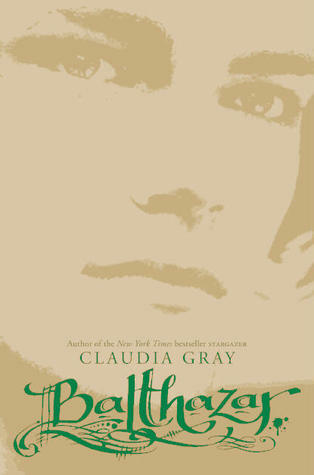 I loved the Evernight series by Claudia Gray, so when I saw that Balthazar, a companion novel to the series, was coming out, I was super excited! Not only because I wanted more of the awesome world of vampires and wraiths that Claudia Gray created, but because Balthazar was one of my favorite characters in the Evernight series! It was clear in Evernight that Bianca and Lucas were meant to be together, but that didn't stop me from feeling bad for Balthazar and wanting him to have an awesome love story of his own. And in Balthazar, that's exactly what he gets! The Evernight series was told first person from Bianca's point of view, and Balthazar is different in that it is told third person alternating from Bathazar and Skye's point of views. I loved this because I felt like as a reader I was able to understand their relationship more fully. I also enjoyed Skye's character, and am glad I "got to know her" in this book! She's spunky, smart, and relatable. She's an average teen thrown into a crazy situation, and I like how despite how she's in the midst of a vampire crisis, she's still relatable on a teenage level. Now, moving onto Balthazar! W-o-w! I love him even MORE after reading this book! I don't want to spoil anything for those of you who are going to read the book, but we learn so much about Balthazar's history, delving deeper into his life before becoming a vampire and the years between his becoming a vampire and going to Evernight. I also loved reading his present day sections, where the reader gets to see him fall for Skye! For those of you who are also huge Evernight fans, there are cameos in Balthazar from Bianca, Lucas, and Clementine. But you should also know that Balthazar is different from Evernight, since it takes place in a normal public high school. I loved it just as much as all the other books in this awesome series, and am hoping that Claudia Gray continues to write books about the characters from the incredible world she created.